The Ocean City-Upper Township Little League team won a do-or-die game against Toms River, 10-6, in the state Little League tournament on Saturday and will play for the state title against the same team in a game at 7 p.m. Monday (July 28). Friends, family and fans of the team are trying to rally support for OC-UT team in Monday’s deciding game. They’re asking supporters to wear red and make the 47-mile trip up the Garden State Parkway. 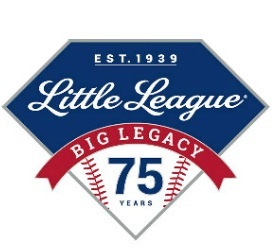 The 7 p.m. game is at Berkeley Little League Field at 43 Moorage Avenue, Bayville, NJ (accessible via GSP Exit 77). The winner of the game advances to the regional tournament and a shot at moving on to the Little League World Series in Williamsport, Pa.
See game coverage of Saturday’s game from Mike McGarry in The Press of Atlantic City: Ocean City-Upper Township forces finale for Little League state title. No Cape May C0unty team has traveled so far in the Little League tournament, according to New Jersey State Little League results. The team is made up of all-stars from the six teams of the Ocean City-Upper Township league (three from each town). They have played 17 games together and captured a District 16 title (Cape May and Atlantic counties) and a sectional title. Greg Brady, Frank Fumo and Joe Furey are coaches.